A flood of information unleashed prior to Finance Minister Michael Noonan’s sixth budget statement deprived Budget 2017 of the furore experienced in years gone by. eolas explores its core features. The collapse of the Fine Gael majority in May’s general election and the splintered nature of the subsequent government ensured that media outlets had been kept well abreast of any likely developments. In order to guarantee Fianna Fáil support for the passage of the €1.3 billion package for 2017, the Government found itself constrained by the Confidence and Supply Arrangement agreed in conjunction with Fianna Fáil. In exchange for the facilitation of a Fine Gael led minority government, the framework makes explicit reference to “avoiding policy surprises”. Indeed, appendix one of the political arrangement outlines many of the principles which would receive official recognition on budget day. For example, USC cuts, the “rainy day” fund and maintenance of Ireland’s rate of corporation tax all feature. The “old reliables” emerged virtually unscathed. Aside from a 50 cent increase in excise duty on cigarettes per pack of 20 (expected to yield €65 million next year), there have been no increases on the taxation measures contained within Budget 2016. In all tax cuts are set to amount to €500 million. The three lowest rates of Universal Social Charge experienced a 1 per cent reduction. The rates now sit at 0.5 per cent, 2.5 per cent and 5 per cent for incomes of €0 to €12,012, €12,013 to €18,772 and €18,773 to €70,044 respectively. Taxes on gifts and inheritance will be reduced. Most significantly, the tax-free threshold for Capital Acquisitions Tax on gifts and inheritances from parents to children will rise from €280,000 to €310,000. The Government is committing €1.2 billion in housing funding to the Department of Housing Planning, Community and Local Government. A target of 47,000 units will be added to social housing stock by 2021. Simultaneously, much lauded by supporters of the Government is the help to buy initiative for first time homeowners. The income tax rebate incentive, which runs until the end of 2019, ensures that those entering the housing market can receive relief of 5 per cent of the purchase price up to €20,000 when taking out an 80 per cent mortgage on a new build. Opposition parties have criticised the incentive being fixated on demand rather than supply. Indeed, in the immediate aftermath of the announcement, prices for new homes climbed by as much €45,000. In an effort to help alleviate the strains on the rental sector, the rent-a-room relief scheme will be enhanced with a higher tax ceiling (up to €14,000 from €12,000) in the hope that it will encourage further homeowners to rent out a vacant room. Mortgage interest relief deductibility for landlords is also increased from 75 per cent to 80 per cent to stimulate investment in residential rental property. The Home Renovation incentive is also being extended until the end of 2018. Corporation tax remains unmoved at 12.5 per cent and likewise the 9 per cent VAT rate is retained for the tourism and hospitality sector. In line with the implementation of a similar levy in the UK, from April 2016 all sugar-sweetened drinks will face an additional sugar tax. The Government is also set to prepare a shock-absorbing “rainy day fund”. The setting aside of €1 billion annually from 2019 is intended to act as a buffer against the uncertainty of Brexit and other unforeseen economic risks. Alongside this new fund is the introduction of a revised debt/GDP ratio target. This augmented ability to borrow is perceived by the Government to be the most important measure available to the exchequer in the event of an unforeseen challenge. An increased Revenue staff resource stream by 50 in relation to audit and investigation activities and a simultaneous enhancement of ICT systems will aim to confront non-compliance and increase tax and duty yield. The €58 billion of spending announced in Budget 2017 incorporates €53.5 billion in every day spending (€11,500 per capita) and €4.5 billion in capital spending. This represents a 3.3 per cent (€1.9 billion) increase on 2016. Public and civil servants who experienced post-2008 cuts will be buoyed by a €290 million fund for phased partial pay restoration agreed under the 2015 Lansdowne Road Agreement. In addition, Minister for Public Expenditure and Reform Paschal Donohoe outlines: “The proposed additional recruitment of close to 4,500 additional frontline staff, such as nurses, gardaí and teachers, is a clear demonstration of the Government’s commitment to ensuring that increased spending translates into real improvements in people’s lives.” A breakdown of the total figure indicates the creation of 2,400 new teaching posts, the recruitment of 800 new gardaí in 2017 and 1,000 more nurses and midwives. In total €9.5 billion of education spending represents 16 per cent of Government’s total spend. The State Pension is also set to rise by €5 per week from March 2017, as will social welfare payments, including the carers’ allowance, disability allowance and jobseekers’ benefits. 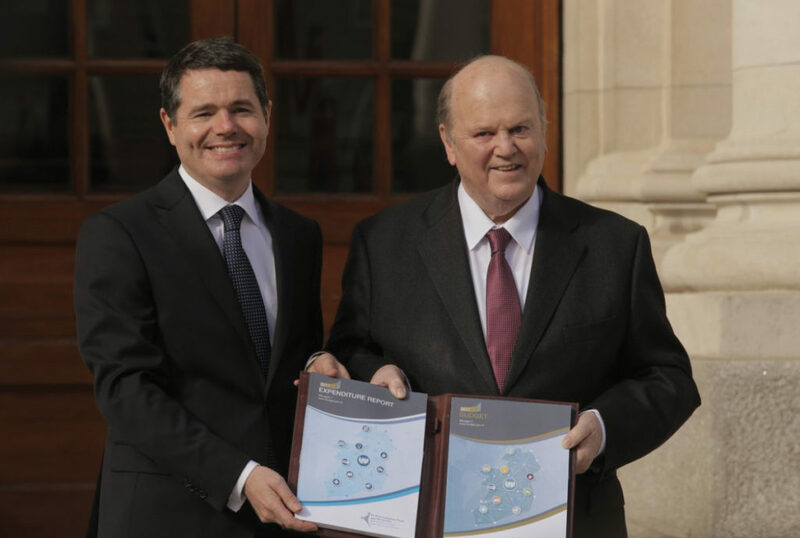 Social welfare recipients will also receive an increase in the Christmas bonus to 85 per cent. Support for childcare through Early Years funding will increase by 35 per cent to €465 million. Rural development spending will increase by €107 million to €601 million in 2017. This programme contains a new Animal Welfare Scheme worth €25 million to support sheep farmers. Likewise, fishermen who have fished for wild fish or shellfish over at least 80 days per tax year will receive a tax credit of €1,270 per annum. 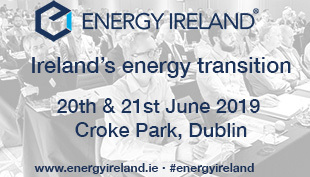 A total of €90 million has been allocated towards meeting renewable energy targets. Measures to support this objective include a Renewable Heat Incentive, Better Energy Grant schemes and an Electric Vehicles Subsidy.